SA Car of the Year: What changes should be made to the competition? Cape Town - The Panamera was crowned as the 2018 SA Car of the Year earlier this month and once again a Porsche winning the title has caused uproar among readers as a very controversial choice. The South African Guild of Motoring Journalist (SAGMJ) reports that "two thirds" of its 26-member Jury voted for Panamera as the top car in the competition. 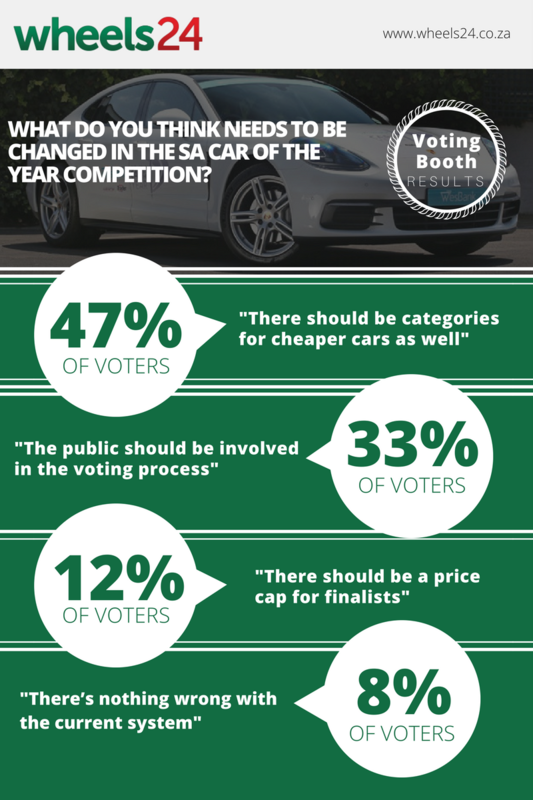 We asked readers what they thought about the SA Car of the Year competition and our homepage poll garnered 8156 votes. Most readers (47%) believe that their should be categories while 33% want the public to be more involved in the process (perhaps one or two public jurors?). Only 8% of respondents believe there is nothing wrong with the current voting system. Reader Peet Van der Merwe said: "Place all cars in 5 or 6 price ranges and get a winner in each range. I know it will probably cost more, but will be more realistic."